The government of North Korea has been experimenting with allowing and expanding mass communication for over a decade. Prior to 2002, mobile communications had been limited to top government and military personnel. Cell phones were then introduced for public consumption and by the following year some 20,000 North Koreans had cell phones. Although the system has always (technically) limited usage to in-country calls, there have been a few hiccups along the way and the government has been playing catch up ever since in an attempt to limit outside information leaking into their formerly hermetically sealed country, and to keep undesirable internal information from spreading throughout the nation. Despite the initial success in 2002 and 2003, the service was suspended in 2004. The reason for that suspension and the confiscation of phones was an explosion at a train station that, allegedly, was targeted at killing Kim Jong-Il as he passed through the area via train. The bomb was triggered by a wireless device. It wasn't until late 2008, when the Egyptian telecom company Orascom negotiated a contract with Pyongyang, that cell service was reinstalled. This new 3G service, officially called Koryolink (75% owned by Orascom and 25% by the North Korean government), initially had fewer than 1,700 customers its first year, but now serves over 2 million people (about 8% of the population). 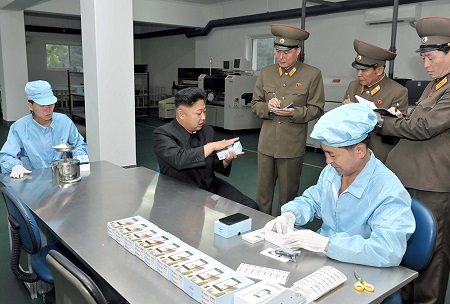 The country has a 2G provider, SunNet, that services Pyongyang, but little else is known about it. 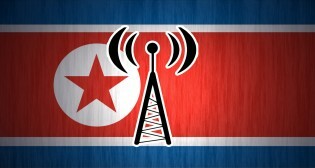 Under Kim Jong-un, the number of cell towers has risen sharply. I've mapped around 360 cell towers across the country so far, and I estimate there will be a total of 550 to 600 by the time I'm finished. For some perspective, the US state of Tennessee has more cell towers than the whole country of North Korea. If they were all evenly distributed, that would mean 30% of the DPRK's land area would have some kind of cell coverage. In reality, most major and medium sized cities do have at least one cell site nearby, meaning that the majority of citizens resided in an area with some cell coverage. Cell phone usage is still heavily regulated though. Not only does an individual need permission to have a phone, calls are routinely monitored, and service can be cut at any time, particularly during disasters or various crisis. The government has embarked on erecting signal jammers/interceptors, particularly along the border regions, and has a fleet of vehicles that randomly sweep areas in an attempt to catch people calling out of country. The rise of cell phones has greatly contributed to the country's burgeoning market economy and enabled a true middle-class to emerge. A substantial black market has also arisen associated with cell phone acquisition: cutting through red tape etc. with people using bribes, intermediaries, and "buying" the names of impoverished people (paying them in food or small amounts of money) so that others can use the name in an attempt to get around regulations. Phone prices range from $150 to $700, which is no small purchase in a country where per capita GPD is a mere $1,800/year. Phone plans offer 200 minutes for a small fee, but after that the price can be as much as $10 for an additional 200 minutes. Naturally, a used phone market has developed. Even though the phones can facilitate business, many people still struggle to afford additional minutes. Most phones are of Chinese origin, though party cadres and other wealthy individuals can afford LG and other western phones. In 2013 North Korea unveiled their "domestic" Arirang touch-screen phone, however, many experts believe it is simply a knockoff Google Android design and is manufactured in China. Kim Jong-un inspecting packaged Arirang phones. While the phones are predominately used for business, keeping in touch with friends, sending pictures, and other normal things, the government does have the ability to use the phones to spread state propaganda by sending text messages to all subscribers. There have been reports that data transfers (like sending pictures) are now tightly controlled and in some cases that ability is no longer included. Random police checks also occur frequently. The government is also trying to promote a new phone model, the "1913", which limits the phone's use to the city of its registration. SD card slots are blocked, and internal memory is drastically limited compared to other models. When Koryolink was first introduced, many observers hoped that it would herald a new era of openness and that it might even lead to regime change. Eleven years later, while there have been improvements when it comes basic communication and market activity, the government has been effective enough, along with the service's cost and inconsistent quality, as to render those hopes little more than dreams for some future time. Using phones to even set up a soccer club resulted in sending 20 college students to do hard labor. And though word of rumors, scandals, and disasters can now travel across provincial borders and in rapid time, the other systems of government control make any type of organized or mass resistance nearly impossible. For the government, cell phones enable better communication between departments, improved control standards when it comes to production and agriculture, faster responses in the face of emergencies, and the added benefit of hard currency thanks to a growing economy (even if much of that money comes from bribes and corruption), and hundreds of millions itself from the establishment and expansion of cell service. For more information, check out this report published by the US-KOREA Institute and Voice of America about the rise of mobile phone usage in North Korea and its possible political implications. Also, see North Korea News for the article "Inside North Korea's Cell Network" featuring former technical director of the network, Ahmed El-Noamany.